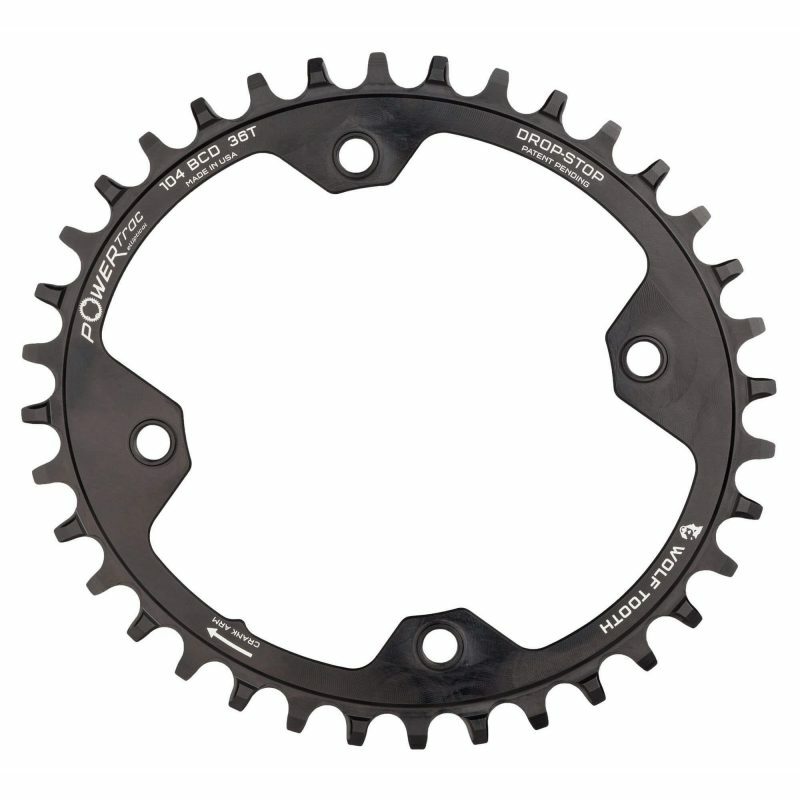 The Wolf Tooth Components 1x 104 BCD Elliptical MTB Chainring fits any 104 BCD crankset and features Wolf Tooth’s PowerTrac Elliptical (PTE) technology. Compared to other oval rings, the Wolf Tooth Elliptical MTB Chainring is slightly less ovalized (10%) with less aggressive timing (112°). This means that any change to your pedal stroke is less noticeable – but you still get the power, efficiency and traction benefits inherent to oval chainrings. This chainrings also uses Wolf Tooth’s Drop-Stop technology – an alternating wide/narrow tooth pattern that prevents chain derailment. The wide side of the tooth has maximum contact on the drive side which spreads the load and improves chainring life. The narrow side allows clearance for mud and debris which reduces friction.